Today the New York City Council passed critical legislation to regulate changes to deed restrictions, the covenants that determine the use of property. 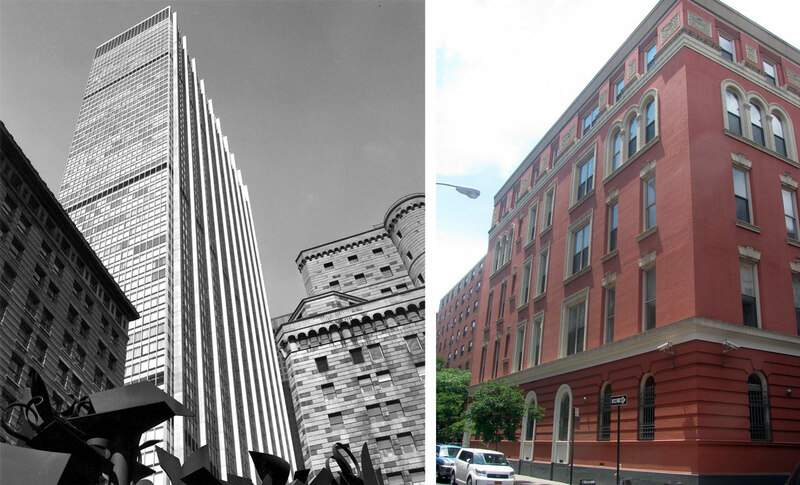 The legislation, Intro 1182-A, would impact exterior development at 28 Liberty, the landmarked modernist plaza designed by SOM in lower Manhattan, as well as thousands of deed-restricted properties citywide. The bill, sponsored by Councilmember Margaret Chin, was a response to the explosive controversy surrounding public properties like Rivington House, a not-for-profit nursing home that served HIV-positive seniors on the Lower East Side that was sold for a handsome profit to a private developer last year. In a series of intra-agency maneuvers, the city removed the property’s (city-imposed) deed restriction, allowing the parcel to be sold again and converted into luxury condos. Other civic assets like the Dance Theater of Harlem were eliminated by the same process, while the construction of large glass pavilions of 28 Liberty’s modernist plaza stalls as the deed restriction debate moves towards a resolution. Fortunately for properties threatened by unscrupulous development, that resolution came sooner than many expected. Intro 1182-A stipulates a uniform process for the removal and modification of deed restrictions via the Department for Citywide Administrative Services (DCAS). Except for one provision, the law goes into effect immediately. “With the passage of Intro 1182-A, this City Council can assure that [a Rivington House scandal] will never happen again to any other community,” Chin said. The law provides clear guidelines and standards for the previously opaque process of changing or removing deed restrictions. From today on, DCAS will have to hold a public hearing to see whether the deed change would be in the best interest of the city. If DCAS approves, neighbors would be given time to review the changes and their effect on the community. Next, the changes would have to be approved by a committee comprised of representatives from other agencies, the mayor’s office, and the mayor himself. As part of the process, the party requesting the change will have to conduct a land use study with the Department of City Planning (DCP). Crucially, the city will have to maintain a public, searchable database of all deed-restricted properties exchanged or sold. The database, which goes live one year from today, will have files going back to 1966. The rules the Council passed today increase public oversight of the deed changes but mandate less public scrutiny than Chin and Manhattan Borough President Gale Brewer’s original proposal, which called for a Uniform Land Use Review Procedure (ULURP) in response to each deed restriction modification or removal. Prior to today, the Department of Citywide Administrative Services (DCAS) was responsible for approving most deed restriction changes, but, as this years’ hearings and testimony have demonstrated, its process was convoluted even for government insiders. “Borough President Gale Brewer and I introduced this bill to make sure we have clear public process and criteria in cases where the removal of the deed restriction is necessary and will benefit the city and the community,” Chin said.